Joseph's grandpa could do almost anything with his hands. He could play the piano, throw a curveball, and tie a triple bowline knot in three seconds flat. But in the 1950s and 60s, he could not bake bread at the Wonder Bread factory. Factory bosses said white people would not want to eat bread touched by the hands of the African Americans who worked there. 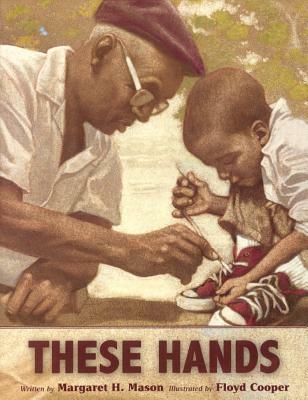 In this powerful intergenerational story, Joseph learns that people joined their hands together to fight discrimination so that one day, their hands Joseph's hands could do "anything at all in this whole wide world.